It's June in Montreal, and Dr. Temperance Brennan, who has left a shaky marriage back home in North Carolina to take on the challenging assignment of Director of Forensic Anthropology for the province of Quebec, looks forward to a relaxing weekend in beautiful Quebec City. First, though, she must stop at a newly uncovered burial site in the heart of the city. The remains are probably old and only of archeological interest, but Tempe must make sure they're not a case for the police. One look at the decomposed and decapitated corpse, stored neatly in plastic bags, tells her she'll spend the weekend in the crime lab. Something about the crime scene is familiar to Tempe: the stashing of the body parts; the meticulous dismemberment. As a pattern continues to emerge, Tempe calls upon all her forensic skills, including bone, tooth/dental, and bitemark analysis and x-ray microflourescence to convince the police that the cases are related and to try to stop the killer before he strikes again. 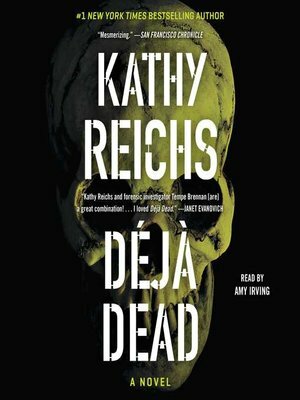 Told with lacerating authenticity and passion, Déjà Dead is both poignant and terrifying as it hurtles toward its breathtaking conclusion and instantly catapults Kathy Reich into the top ranks of crime authors.